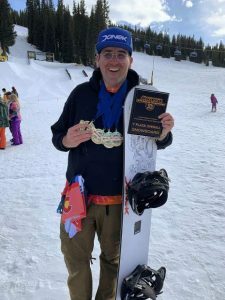 Current and former Squaw athletes put on a show at Snow King Mountain Resort in Wyoming last week as five local skiers placed in the top 10 during the North American Cup giant slalom event at the resort. Keely Cashman, 19, led the way with a first-place finish, topping the field of skiers by 0.32 seconds with a combined time for her two runs of 1 minute, 51.91 seconds. Current North American Cup points leader Nina O’Brien, who formerly raced for Squaw Valley Ski Team, was second with a combined time of 1:52.23. Local skier AJ Hurt was fourth with a combined time of 1:52.44. Foreste Peterson, who grew up racing for Squaw was fifth with a combined time of 1:52.59. Squaw Valley’s Alix Wilkinson was ninth with a combined time of 1:53.38. Cashman went on to claim third place the following day in giant slalom. O’Brien was second. The North American Cup will next head to Stowe Mountain Resort in Vermont later in March for the next round of competition. Squaw Valley skier Bryce Bennett competed in Are, Switzerland last weekend at the International Ski Federation World Ski Championships and led the American effort in downhill and in combined. 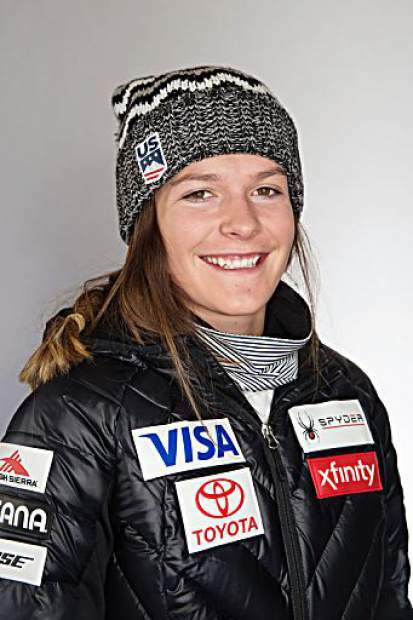 Bennett, who placed 23rd in super-G to open the world championships, returned to the hill last Friday and raced to a ninth-place finish in downhill with a time of 1 minute 20.81 seconds. Norway’s Kjetil Jansrud won the race with a time of 1:19.98. Fellow local Travis Ganong was 26th in the event, crossing the finish line with a time of 1:21.63. Bennett went on to compete in last Monday’s Alpine combined race and finished in 11th place with a combined time of 1:49.59. France’s Alexis Pinturault took gold behind a combined time of 1:47.71. 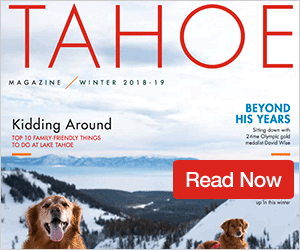 The North Tahoe cross-country team took advantage of home turf last Friday, sweeping team wins on the boys and girls’ side at the North Tahoe Freestyle. Sugar Bowl’s Sofia Sanchez won the girls’ race, completing the 5-kilometer course with a time of 16:02.6. North Tahoe skiers posted the next three fastest times. Lily Murnane led the way in second with a time of 16:08.0, followed by Alani Powell with a time of 16:09.0, and Kili Lehmkuhl with a time of 16:10.6. Sugar Bowl’s Hayden McJunkin rounded out the top five with a time of 16:53.5. The Lady Lakers finished with a low score of 18, edging Sugar Bowl by two points. On the boys’ side, Nate Cutler raced to first place with a time of 13:58.1, topping Truckee’s Steffen Cuneo by 2.6 seconds. North Tahoe’s Cooper Anderson was third with a time of 14:23.0, followed by teammates Etienne Bordes (14:24.3) in fourth and Phoenix Sanchez (14:30.1) in fifth. The Lakers finished the day with a low score of 19 points, followed by Truckee in second with 31 points. Cross-country racing was also held at Royal Gorge Cross-Country Ski Resort this past weekend. The race represented the final Junior National Qualifiers for Far West this year and included distances of 3.75, 7.5, and 15 kilometers. Spencer Eusden, 28, who used to compete for Sugar Bowl, took the win in the 15-kilometer distance, finishing with a time of 53:22.2. North Tahoe’s Cooper Anderson was second with a time of 55:33.8, followed by Phil Violet in third with a time of 55:35.6. Nate Cutler was fourth with a time of 56:03.7, followed by Etienne Bordes in fourth with a time of 56:32.8. Phoenix Sanchez took the win in the 7.5-kilometer race, finishing with a time of 27:51.4 to edge Koson Verkler by 0.4. Cooper Honeywell was third with a time of 29:03.9. In girls’ racing Sofia Sanchez took first place with a time of 28:17.6. Kili Lehmkuhl was second with a time of 30:56.0, followed by Hayden McJunkin in third with a time of 31:38.3. Cabot Godoy won the 3.75 kilometer race with a time of 17:01.9. Keira Scott took the win on the girls’ side with a time of 18:38.3.